Diageo and rapper Snoop Dogg have appointed 10 key “influencers” to enhance the presence of Tanqueray gin in the US. ‘The Tanqueray Ten’ have been selected under a new partnership between Tanqueray and hip-hop star Snoop Dogg. As brand ambassador for the London dry gin, Snoop Dogg will create signature cocktail recipes, serve Tanqueray at his concerts, attend the brand’s events and release exclusive content and art projects inspired by his famous track Gin & Juice. Now, he has curated a group of 10 people across the music, film, art, tech, business and fashion industries to provide marketing content for Tanqueray and attend special events. 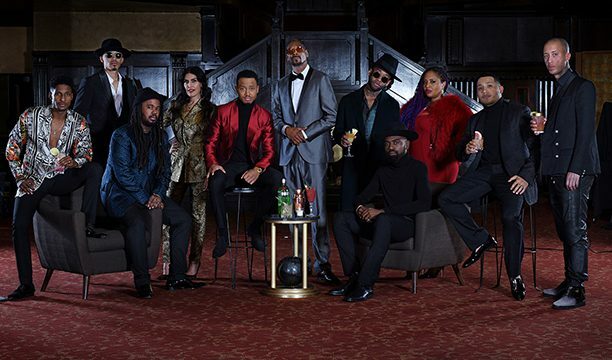 The group consists of: producer and songwriter Ty Dolla $ign; actor Terrence J.; artist and rapper STIX; photographer Aris Jerome; photographer Marcus Hyde; jewellery and fashion designer Melody Ehsani; celebrity stylist Ugo Mozie; visual artist Devin Troy Strother; recording artist Lalah Hathaway; and singer/songwriter October London. “Tanqueray has celebrated and supported creativity and innovation, and the introduction of this programme ushers in a modern era of artistic exploration,” said Keenan Towns, brand director for gins at Diageo. Last month, Diageo’s CEO Ivan Menezes said the group is aiming to enhance the presence of Tanqueray in the US market, where the “gin renaissance” has not yet taken root.